We have been visiting Highlands, Cashiers since 1975. We never tire of the beauty and the scenic roads there! (I remember fading the brakes on Sandy's 1974 Buick Regal the first time we went there :-) ) Our 2019 QDM drive there will take you to some of our favorite places. We will get there via War Woman Road and Hwy 28. 28 is one of my favorite roads anywhere! If we had time we would drive it all the way to Bryson City! Above Cashiers we will drive past Lake Toxaway up to Tuckasegee. We will be in forests and hills that once were the home of the Cherokee. Not far from some of the largest Petroglyphs East of the Mississippi. 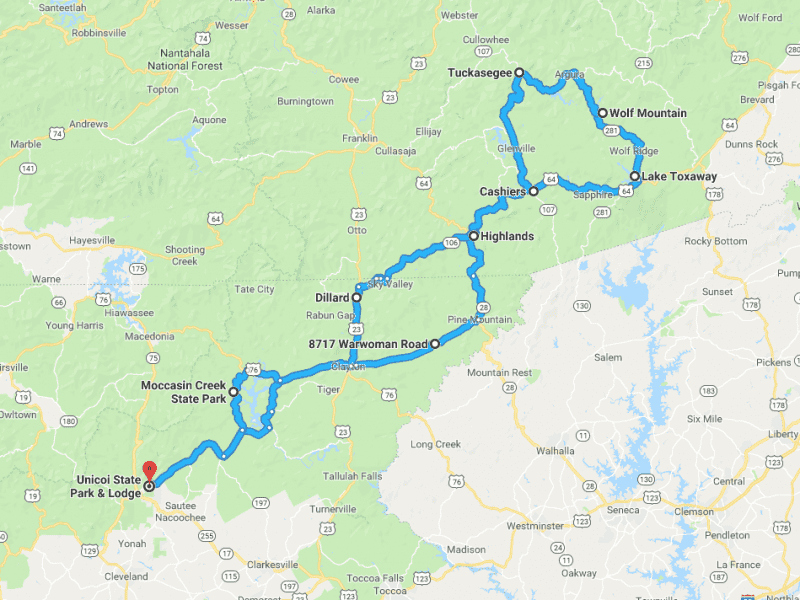 As we wind our way back South we will pass through Highlands and down to Dillard then past Moccasin Creek State Park on our way home to Unicoi. Our day will be filled with beauty, curves, some Indian lore and Audis. We hope you will join us!